It's the little things that matter, and adding a little style to something as simple as your tailgate handle can make a world of difference. Don't believe me? 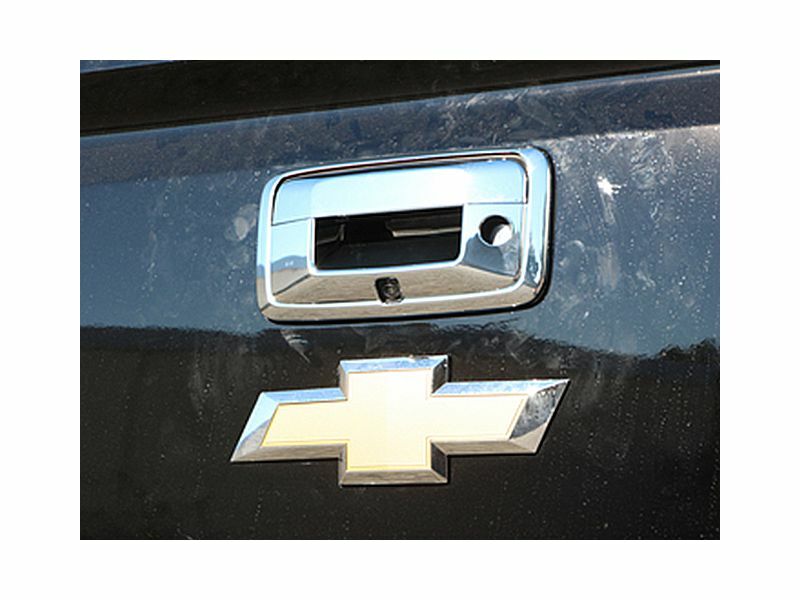 Take a look at TFP chrome and stainless steel tailgate handle covers. These covers are going to add instant style to your truck or SUV, and aren't going to break the bank. TFP chrome and stainless steel tailgate handle covers are an excellent option for those looking to add a little style to their ride without emptying their wallet. With a wide variety of pickups & SUVs covered, I'm sure we have an option or two available for your ride at RealTruck. Get yours today. TFP stainless steel tailgate handle covers are backed by a one year warranty. The ABS tailgate handles are covered by a 6 month warranty. Questions? We've got answers. Just give us a call at 877-216-5446. TFP chrome and stainless steel tailgate handle covers are a synch to install - seriously. The covers go on easily using automotive-grade 3M tape. If you have any questions, please give us a call at 877-216-5446.